What is the answer when the question is extinction? Nemesis Star is an Exotic machine gun which can be found in Engrams, Nightfalls, Xur, etc. The good: Hits hard quickly, stable recoil. Another expansion, another host of Exotic goodies to play with! Today’s review will cover the Nemesis Star, the newest Exotic Machine Gun to grace the scene. Exotic Machine Guns have been a mixed bag in Destiny’s history, with the reliable Thunderlord appearing as early as the beta – but the only other addition, Super Good Advice, took a solid year before it became anything worth writing home about. Does the Nemesis Star come strong out of the gate? Or does Bungie have some more work to do? Let’s take a look. First off, we can see that the Nemesis Star belongs to the subclass of Machine Guns with a well-balanced Rate of Fire and impact. As we’ll see shortly, this is variable depending on how you fire the weapon – but historically, the control and DPS offered by this variant is especially useful in Crucible kills, and can stagger enemies in PvE with regularity while still putting out hefty damage. It possesses an excellent Stability score of 71, ensuring very little kick even when sampling at the highest RoF. Unfortunately, its base Range of 12 and Reload Speed of 9 are among the worst of all available Legendary Machine Guns. No gun has a worse Reload Speed, and the majority of those with a lower Range belong to the High RoF/Low Impact subclass, with the notable exception of the old favorite Deviant Gravity. Fortunately, this is offset somewhat by a sizeable Magazine Size of 53. With an Aim Assistance of 29, the Nemesis Star is not going to offer any noticeable magnetism. In spite of the modest stat profile, this weapon is geared around the interplay between two important perks. The intrinsic Extinction Cycle provides an increase to RoF with an initial burst, and can in fact be abused in consecutive series of short bursts. This takes advantage of the high Impact to offer superior DPS when you have your target in mind and know exactly how quickly you can dispatch them. The second perk, the distinct Exotic Strange Gravity, invites you to hold down the trigger instead. 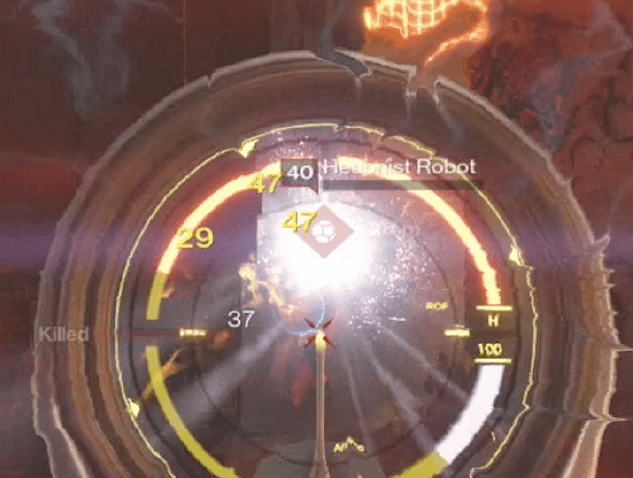 When you do this, your Range and Accuracy are increased by an unspecified amount, your kills grant bonus Grenade Energy (in the style of Grenadier), but your RoF suffers. This allows a clever Nemesis user to expend the first few rounds on a dreg who has closed the gap, while shifting fire to a troublesome Knight at a distance – all without letting go of the trigger. Unfortunately, without extensive practice, you’ll likely run into issues of not knowing where exactly your damage drop-off begins. The only remedy to this is getting a feel for how the weapon performs. For your ballistics options, the difference between them is hardly playstyle-defining. Go with Field Choke if you can handle a little extra horizontal kick, as your Range is just too pitiful otherwise. If you don’t mind getting up close and personal, Accurized Ballistics is not a bad choice for its mostly manageable vertical recoil. Linear Compensator is overkill in the Stability department. The first distinct perk, Spray and Play, is a godsend for a weapon whose Reload Speed is nearly embarrassing. It will bring your reload time up to par, providing that you’re always consciously emptying the entire magazine. You still might want to invest in some Machine Gun reload gloves, frankly. The middle column offers a suite of perks to improve overall performance, including Flared Magwell, Field Scout, and Perfect Balance. The former offers an ever-so-slight bump to Reload Speed, which is barely noticeable in conjunction with Spray & Play, but is acceptable if you like to reload with rounds remaining in the magazine. Field Scout offers some nice reserve ammunition, but Heavy Synths are always going to be the most reliable way of being stocked there. 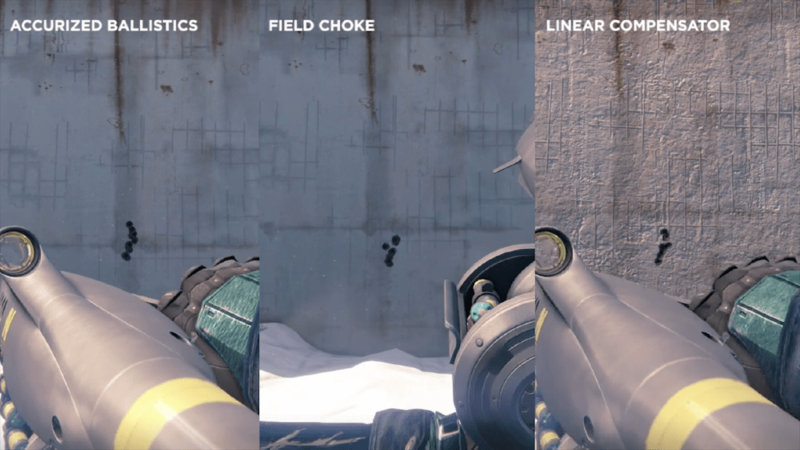 For that reason, Perfect Balance can be used to sensibly offset the recoil increase from Field Choke. Honestly, none of these perks will make or break this gun for you; go with what you want. Machine Guns are not incredibly popular in the PvE meta at this point in time. Bungie has been perplexingly harsh in removing their biggest draw: ammo efficiency, as they’ve consciously attempted to limit the amount of time a single PvP-er with a fully loaded BTRD-345 can dominate a Salvage match. As always, PvP changes have propagated negatively into PvE, and limits to Magazine Size stats and reserve ammunition (poor Field Scout) have removed a big incentive to choose a Machine Gun over a Rocket Launcher or Sword. The former can’t be beat for fire-and-forget burst damage, and the latter is ironically the most “ammo efficient” Heavy Weapon out there. The only successful archetype of Machine Gun that can do work in PvE is, thankfully, that of the Highest Impact and the next tier down – which includes the Nemesis Star. Fast-firing Machine Guns are almost worthless with Bungie’s insistence on giving them realistic kick; paradoxically, the stat most needed to make a viable MG is consistently terrible on the ones that need it most. So, the only way to take down high-priority targets is to be able to consistently hit head shots from a safe distance, relying on stagger, a disciplined trigger finger, and a steady hand. The Nemesis Star can do this, so it’s worth a look. Interestingly, with Extinction Cycle, you can somewhat ape the appeal of the bullet hose MG, unleashing short, rapid bursts on hordes of rushing enemies, rather than simply reserving your Heavy Ammo for boss fights and the like. When you’ve cleared the field of immediate melee threats, you can then focus your fire on Majors like Hallowed Knights, Splicer Captains, and Brood Mothers. It’s worth pairing a high-Impact Sniper Rifle with this machine gun if you want to use it as a trash-clearer. Strange Gravity is a neat perk, but it’s not without its drawbacks. The fluctuations in DPS will be frustrating to anyone who likes to internalize TTKs, as the break between the initial RoF and its slower long-range mode hardly comes with a warning. As mentioned in the Perks section, this drawback can be mitigated by simply spending time with the gun and familiarizing yourself with this feature. The pseudo-Grenadier effect is also nice in principle, but it disincentivizes focusing your fire on a single target by only rewarding Grenade Energy on a kill. Thus, when you finally have the range to handle bosses or heavy melee foes, you won’t be generating Grenade Energy unless you shift your focus to adds occasionally, which will certainly waste bullets. 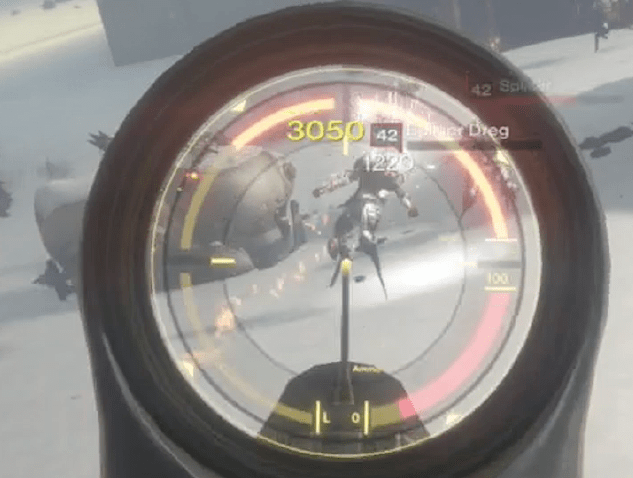 This is the real drawback of Strange Gravity; the moment you stop firing, you lose the ability to engage at range. You’ll have to spool up again, in a sense. Thus, Nemesis Star is not recommended for fights where DPS phases are short, and mobility is a must – uh oh, that’s a lot of fights. Overall, the damage profile of Nemesis Star alone makes it a worthy gun for PvE. It’s most at home destroying low-to-mid tier enemies in relatively close range with Extinction Style. Here, its Exotic perk can lay down some serious hurt. The range bonus of Strange Gravity is neat in theory, but you may have a hard time deciding on which enemy to focus, and ceasing fire will always force a reset. Since the meta hasn’t settled, assessing its worth in the Crucible is somewhat of a toss-up. It’s easy to say that it will function well, as most Machine Guns of its RoF/Impact subclass are adept at downing Guardians with lightning fast TTKs before they have time to react. Extinction Cycle will be especially nasty for anyone in short-to-mid range. Assuming you can’t be dropped with a single Shotgun blast or Fusion Rifle burst, there doesn’t exist a non-Heavy weapon that can win in a firefight with the Nemesis Star. A sneaky shotgunner or crackshot sniper are a different story, of course. Unfortunately, with its poor base Range, you will lose out to Hand Cannons, Pulse Rifles, and Scout Rifles if you’re unable to get Strange Gravity to kick in fast enough. This is a tough obstacle to overcome. As usual, the other problem comes down to a simple question: “Is this the best use of my Exotic slot?” An Exotic Heavy in the Crucible is not an anomaly; Truth is a mainstay in Guardian vs. Guardian fights due to its wicked proximity detonations and downright spiteful tracking. In games where a “round” of Heavy simply consists of getting two quick kills than adjusting back to the meta, a Rocket Launcher like Truth is always going to come out on top. It’s also comparatively unlikely that you’ll “waste” your heavy using a Rocket Launcher compared to a Machine Gun. Firing off two rockets is a low-risk/high-reward scenario, while it’s very likely that you manage to get a single kill with a Machine Gun while attracting fire from another Guardian you didn’t have time to scope out. To this end, it’s tough to justify using your Exotic slot when a Legendary Machine Gun carries almost all the same benefits. This is not a problem unique to the Nemesis Star though, and as such can’t truly be called a “con” of using the weapon. Bold, yet understated. The gunmetal grey frame and yellow accents help this gun to stand out against a field of busy paint jobs and confusing color palettes. The sound is not particularly noteworthy, but feels appropriately heavy when Strange Gravity kicks in with a mean chunk. Nemesis Star is a solid addition to the small Exotic Machine Gun collection. It possesses a fun new set of perks that feel Exotic, even if their effects don’t exactly warrant its use over a mainstay like the Gjallarhorn, Truth, or the Exotic Swords. Extinction Cycle will be its calling card, but Strange Gravity has its uses, if you can play smart and be conscientious with your ammo economy and engagement range. In PvE, you’ve got a worthwhile replacement for the Thunderlord, that will be best used for thinning out the pack rather than a boss-burner. In PvP, you’ve likely got one of the strongest rapid-fire weapons for close-range encounters, but you’ll have to rely on the unreliable Strange Gravity to extend your killing range meaningfully. If you get a hold of the Nemesis Star, we feel confident recommending that you level it up and take it for a spin. You can always infuse it if it isn’t your style, but this one is worth a trip around the Plaguelands. For PvP this weapon earns a 8/10 and for PvE a 8.5/10.